Desserts – the ultimate food, and one of life’s greatest pleasures, are to die for. Unfortunately, these beauties are loaded with fat and sugar, extremely difficult to let go of and worst of all, your trainer lists them up as the first thing you need to get rid of, whilst sweating it out at the gym. But what if you’re craving sweets too much? The trick is to not deny yourself this pleasure, but to munch on something sweet which is also healthy. We all know that desserts have a bad reputation, but that doesn’t mean you have to completely let go off them. Did you know that the occasional indulgence can actually help you reach your weight-loss goals and diet plans more efficiently? Imagine enjoying your favourite desserts without thinking twice, and still looking good. Best day ever! 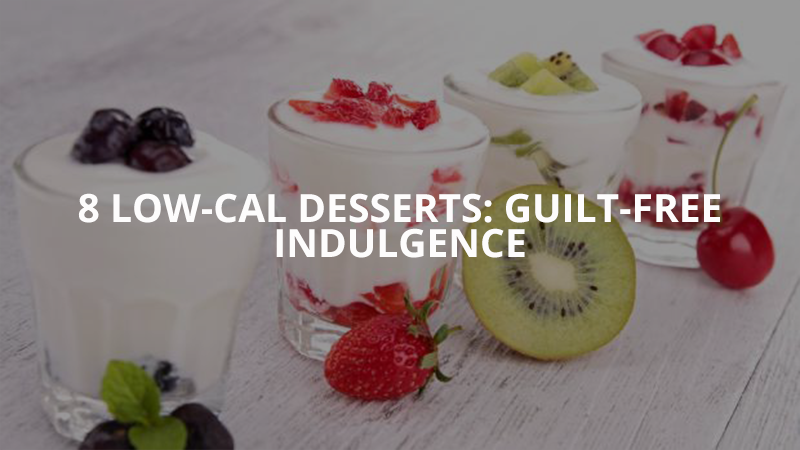 We’ve rounded up 8 best low-calorie desserts which will help satisfy your craving for sweets even when you’re sweating it off like a beast! And work harder in the gyms.